The summer is almost over, but the fun doesn’t stop here. Get ready to update your autumn agenda with these must-attend events, geared towards women’s empowerment. Check out the list below, save the date and prep for exclusive fun this fall. Activate Conference – #Activate2k15Con takes place September 18-20 in Atlanta, Ga and carries the theme: Building the Empire while focusing on Family. The conference is hosted by author, speaker, and founder of the brand Activate Your Life Today, Lucinda Cross. Registration cost for the event ranges from $125 to $2150. 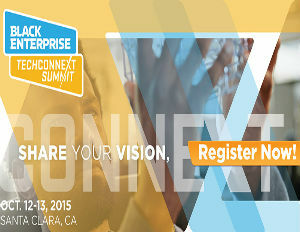 BE TechConneXt Summit – Black Enterprise will be launching their inaugural tech summit this year in Silicon Valley, October 12-13. This one-of-a-kind summit will be a hot spot for female techies, entrepreneurs, and educators to gather and engage. Attendees can expect to chat with thought leaders, discover new resources, and make meaningful connections. Circle of Sisters Expo – According to the organization, Circle of Sisters is the largest expo for women of color in New York City. The two-day event is filled with celebrity appearances, panel discussions, seminars, inspirational services and music. The cost for the expo is pretty low; totaling $40 for the weekend, if you purchase tickets in advance. The event is scheduled for October 17 and 18. We are Legendary Weekend – This four-day women’s empowerment event is hosted by, This is Her Way founder Sherry Williams. The fab weekend in Washington, D.C. will include an award dinner honoring Comedy Writer and Buzzfeed Star Quinta Brunson, Miss Jessie’s Founder Miko Branch, an all-male panel discussion, a workout day, and a Sunday community service initiative. The dates for the event are October 16-18. Bella Kinks Natural Hair Expo – Located at the Grapevine Convention Center in Grapevine, TX, Bella Kinks is bringing women together to talk all things natural hair, life and more. The October 24-25 weekend will include workshops, dynamic speakers, and access to premier natural hair products from your favorite vendors. Check it out.